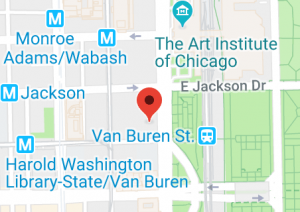 Chicago Debates leverages the expertise of its staff by working directly with schools and teachers to help them build and sustain debate programs for their students. Few of our teachers have prior debate experience; they succeed in enhancing student outcomes because Chicago Debates trains them to be effective debate coaches. Courses are offered in the summer as well as during the course of the school year. Courses cover fundamentals, competitive debate theory, debate team recruitment and retention best practices, and the year’s debate topic. Professional development courses align with our Debater Development Benchmarks, which establish the sequence and overall coherence for the learning objectives and performance skills that coaches will teach. Chicago Debates’ mentor coach program matches veteran coaches with new or struggling coaches. We support mentor coach effectiveness through training and ongoing monitoring. Chicago Debates staff works with coaches throughout the year, making 100 or more school site visits each year, assisting at practices, addressing coaching challenges, and modeling effective coaching methodologies. 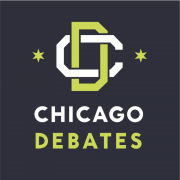 Chicago Debates creates easy-to-access webinars on debate topics of interest to coaches and links coaches to select webinars created by other debate organizations. Coaches are invited and encouraged to seek support from the Chicago Debates staff via telephone and email. Our staff is also proactive in reaching out to coaches to assess their needs and offer support. External coaches are former high school or college debaters; often they are alums of the CDL. Typically assigned either to a new program or to a large program that needs additional coaching support, external coaches work with students in debate practices and accompany debaters to tournaments. Chicago Debates maintains a resource section on our website dedicated to providing coaches and students with up-to-date information on tournaments and debate opportunities, as well as a robust set of materials on the current debate topic (called core files), coaching strategies, recruitment tips, team management, debate practice lesson plans, debate drills and exercises, and more. Chicago Debates staff systematically monitors the numbers of debate team participants, hours of practices, students participating in tournaments, and coach professional development hours. By continually assessing the health of our debate programs, we are able to direct support and assistance where it is needed. Our Qualitative Assessment Project (QAP) assesses students’ performance against the Debater Development Benchmarks, which identify specific skills and knowledge debaters should acquire in each year and at each level of debate. The QAP helps connect competitive debate more closely to academic learning objectives and provides coaches with an understanding of their program’s strengths and instructional needs.